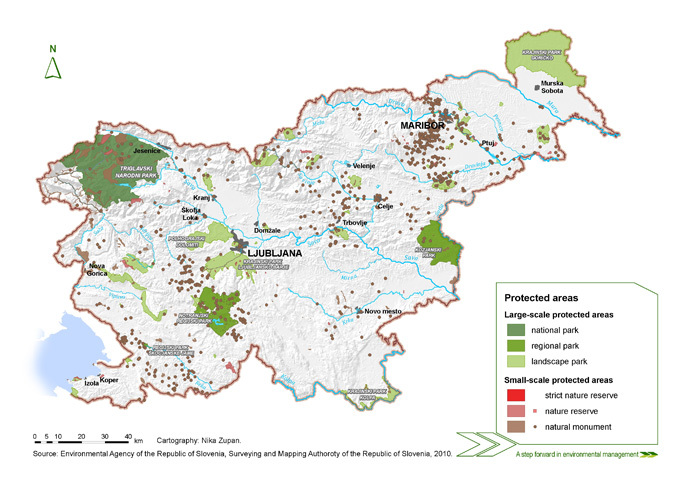 Protected areas cover slightly less than 13% of Slovenia’s surface area. The largest and the oldest protected area is Triglav National Park with almost 84.000 ha. 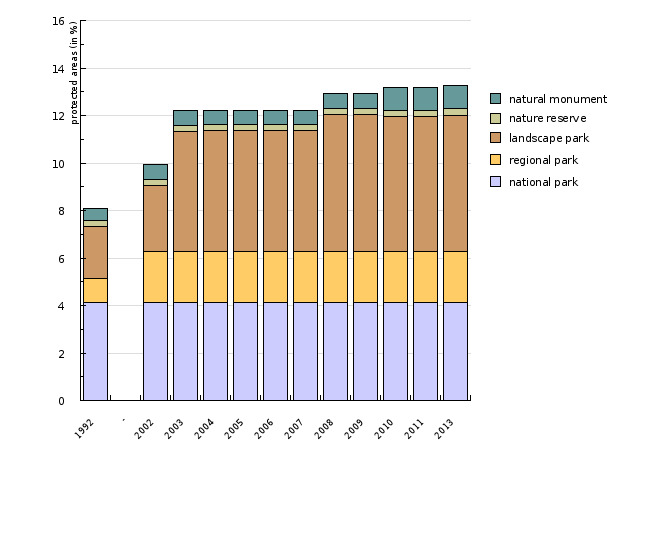 Since 2002 four new landscape or regional parks have been designated. conserving plant and animal species and their habitats. Regional Park in 2002, Goričko Landscape Park in 2003, Ljubljansko Barje Landscape Park in 2008 and Radensko Polje Landscape Park in 2012. Slovenia that are protected by state and municipal acts. organised through well-formed management plans and designated managers.